We have costumes, puppets, mobiles and more. 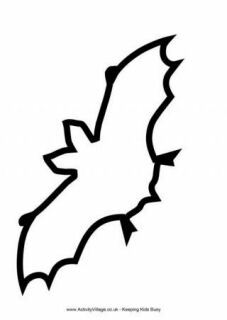 Our bat crafts are fun for Halloween or a British Wildlife project. I had this brilliant idea that the kids and I were going to make a spider mobile My idea was to use a paper plate with wool hanging down attached to spiders who were climbing down. We used a large hexagonal peg board for our Halloween bat, and black and yellow beads. You could substitute orange or white beads for the eyes, or even use "glow in the dark" beads for a really spooky effect! Have fun making this 3D bat using junk supplies. You can even use the bat's body to hide some tasty Halloween treats!